As any art collector is aware, the problem of infestations in artwork can result in untold damage, from both an aesthetic and financial perspective. The Museum of Fine Arts in Boston has come up with a unique solution to rid itself of their unwanted guests. 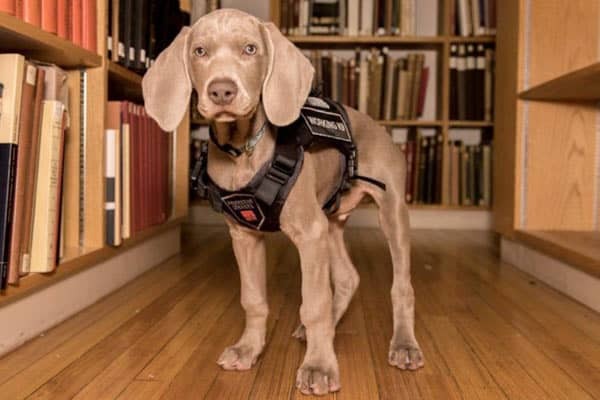 The 1.2 million visitors who come through the museum’s doors annually, are now joined by Riley, a Weimaraner puppy, who is in training to become the museum’s first canine chief in charge of searching for pests and insects that will inevitably cause harm to artworks. It is a bold move, and the first of its kind in the art and museums world. Riley will be trained to sniff out the threat of infestation, not noticeable to the human eye or ear, before the problem escalates. Considering that in 2017 alone the Museum acquired 5399 works of art, in addition to their existing collection, Riley will not be short of work. Weimaraners will likely prove to be a competent breed for the task, often being used as bomb- and drug-detection dogs. The threat to artworks from insects and pests is not one taken lightly by any museum or art collector. 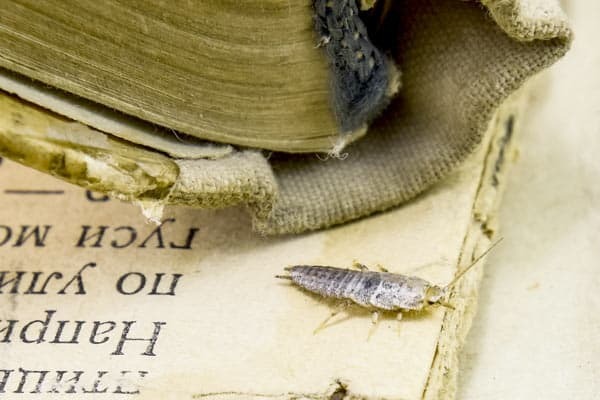 Beetles burrow in wooden objects, moths are particularly fond of delicate textiles and silverfish find shelter in works on paper. Works of art that are infested can often be restored using specialist treatments, and preventive measures can be put in place to ensure the conservation of the artwork. Using a puppy to detect bugs is just one of the measures the museum has implemented to protect and conserve its art. If Riley proves to be successful in detecting the threat and putting a stop to irreversible damage, the inclusion of a puppy amongst museum staff may be a common acquisition.